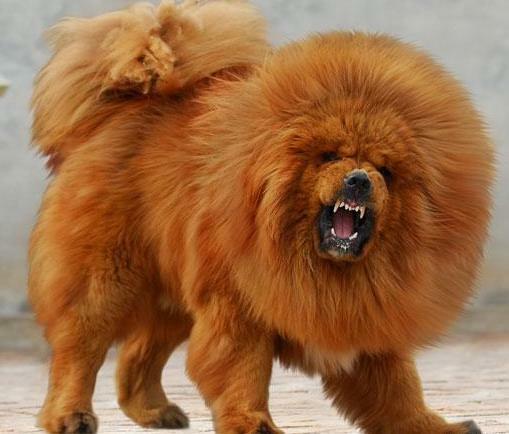 Tibetan Mastiff is considered one of the dogs that look like lions, so it is considered one of the most sought-after pets in many parts of Asia and Europe, weighing about 45-73 kg according to the males, while the females are weighing about 34-54 kg, measuring about 66-76 cm according to the males, while the females are measuring about 61-71 cm, living in Tibet, being an ancient domesticated dog, being large, strong and powerful dog, used to herd the livestock, being an intelligent, courage dog, being a very loyal breed to its owner, but they are aggressive towards the other pets, needing a lot of exercise and daily walks, so it isn’t suitable to live in an apartment, being suitable to the experienced owner. Its lifespan is about 10-12 years. 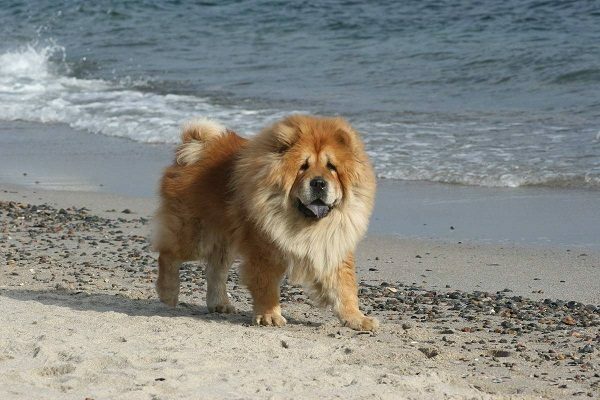 Chow Chow is considered one of the dogs that look like lions, living in the arid steppes of northern China and Mongolia, while some people thought that it lives in the Siberian regions of Asia, weighing about 20-25 kg, measuring about 48-56 cm according to the males, while the females are measuring about 46-51 cm, being an aloof, reserved, bold and proud looking dog, being a guard dog that is put in front of temples and palaces, being an aggressive with the strangers, so it should be trained by an experienced trainer. Its lifespan is about 9-12 years. 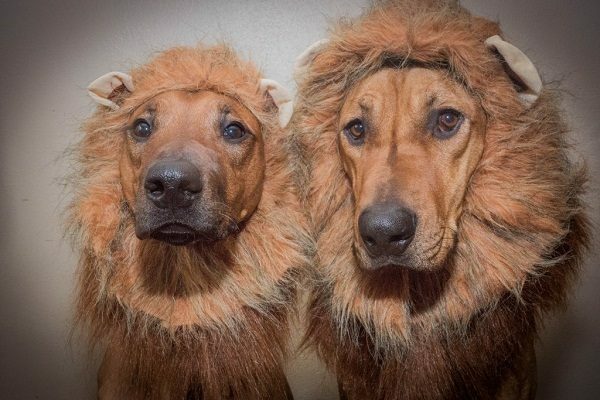 Indigenous Mastiff is considered one of the dogs that look like lions because of its long coat and broad muzzle that gives it its lion-like , living in the Laddakh region of Himalaya, so it is known as Himalayan guard dogs. 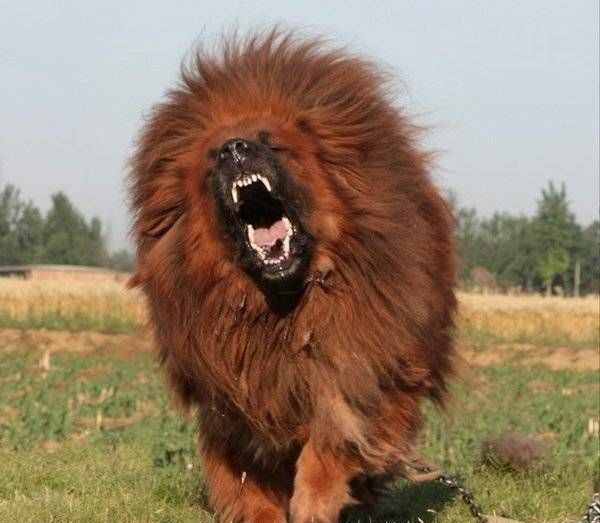 However it has an aggressive look, it is calm and friendly with its owner and its family, but it is considered very ferocious breed, if the situation needs that, having the ability to fight till death, measuring about 74-95 cm according to the males, while the females are measuring about 71-80 cm, weighing about 55-80 kg according to the males, while the females are weighing about 45-65 kg. Its lifespan is about 9-11 years. 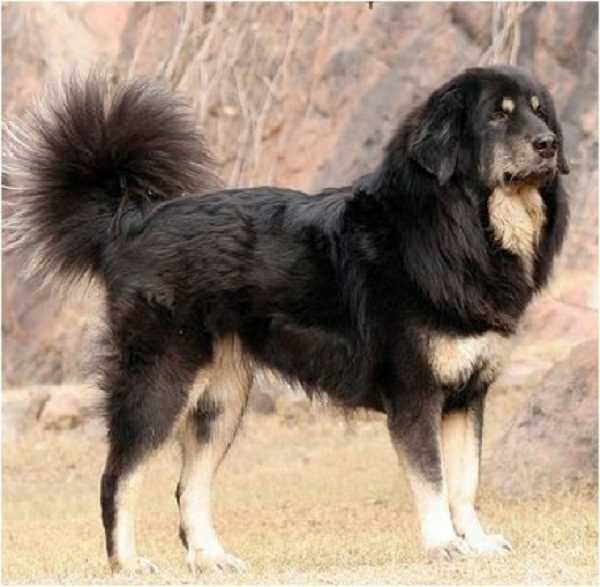 Nepali Mountain dog is considered one of the dogs that look like lions, being the ancestor of Tibetan mastiff, living in Nepal and some parts of India, Pakistan and Bhutan, being an intelligent breed, being friendly with its owner, used as a guard dog, needing a lot of exercise as The Tibetan mastiff, being unsuitable to live in an apartment, because of its aggressive nature, used to protect the livestock, being a companion dog, weighing about 38-60 kg according to the males, while the females are weighing about 32-50 kg, measuring about 65-75 cm, while the females are measuring about 60-70 cm. Its lifespan is about 10-12 years. 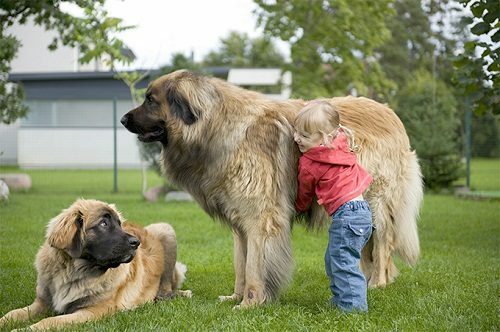 Leonberger is considered one of the dogs that look like lions, being a famous pet, having the ability to intimate people, living in Leonberger in Germany, having a deep bark, being suitable to live with children and strangers, used to protect the livestock if it is trained well, needing a lot of exercise and regular grooming, weighing about 58-72 kg according to the males,, while the females are weighing about 45-61 kg, measuring about 71-80 cm, while the females are measuring about 65-75 cm. 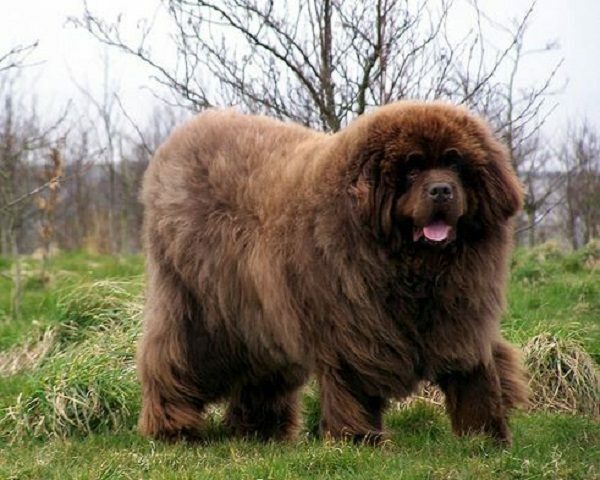 Newfoundland is considered one of the dogs that look like lions, being a giant and gentle water dog, having the ability to swim, being a strong dog that is used as a working dog, having the ability to pull nets for fishermen and carry wood from the forest, being an obedient dog, being a good family dog, being suitable to live with the children, being friendly with the strangers, living in Canada, weighing about 60-70 kg according the males, while the females are weighing about 45-55 kg, measuring about 69-74 cm, while the females are measuring about 63-69 cm. Its lifespan is about 8-10 years. 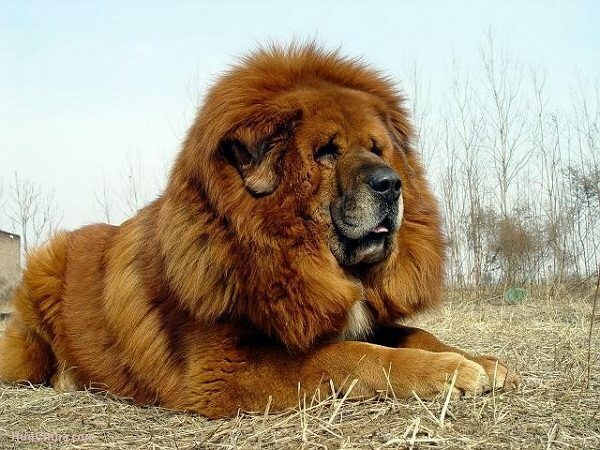 Bangar Mastiff is considered one of the dogs that look like lions, living in India in a tow called Tehri Garhwal, having another name which is Bangara mastiff, developed by an Indian army officer called W.V.Soman, descending from Bhotia dogs that are used to protect the livestock and protect the villagers from the wild animals, being a loyal breed to its owner, being friendly with the other pets and the strangers, being suitable to live in an apartment, weighing about 40-45 kg according to the males, while the females are weighing about 35-40 kg, measuring about 56-79 cm according to the males, while the females are measuring about 51- 70 kg. Its lifespan is about 9-12 years. 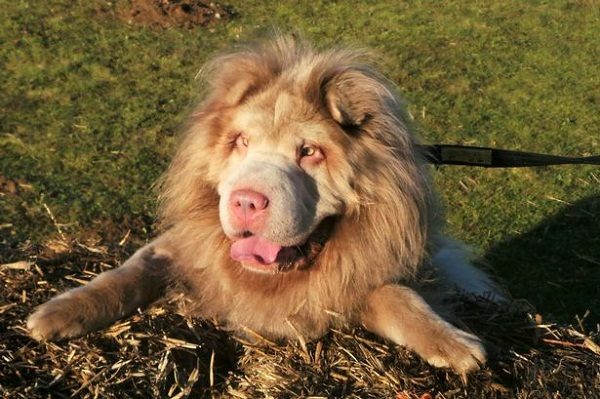 Shar pei is considered one of the dogs that look like lions, being a Chinese breed that can steal your heart from the first sight, having short fur and a blue-black tongue, weighing about 25-29 kg according to the males, while the females are weighing about 18-25 kg, measuring about 46-56 cm. 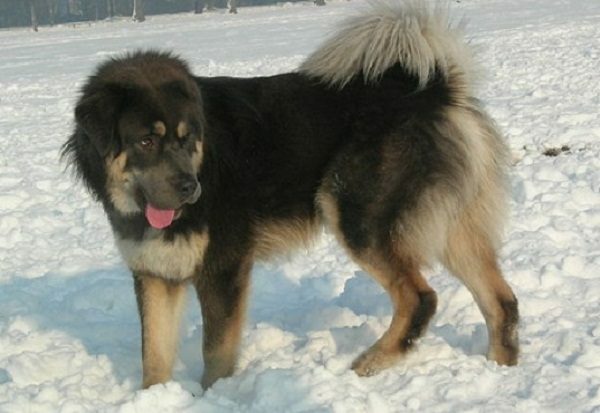 Its coat has different colors as black, blue, cream, fawn, red fawn, sable, apricot, chocolate and Isabella, being suspicious of strangers, being a calm breed that bark only when it is playing or worried, used as a guard dog that is put in front of palaces in china. Its lifespan is about 9-11 years. 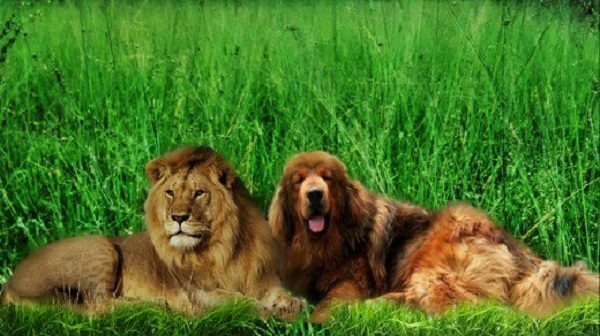 Golden retriever is considered one of the dogs that look like lions when it is clipped, being a large- sized breed, living in Scotland, having the ability to swim, because of their love of water, being a long-coated breed, used as a guide dog for the blind and a hearing dog for the deaf, weighing about 29-34 kg according to the males, while the females are weighing about 25-29 kg, measuring about 56-61 cm according to the males, while the females are measuring about 51-56 cm, being a loyal breed to its owner, having a water-resistant topcoat, while the undercoat is soft to keep it cool in summer and warm in winter. 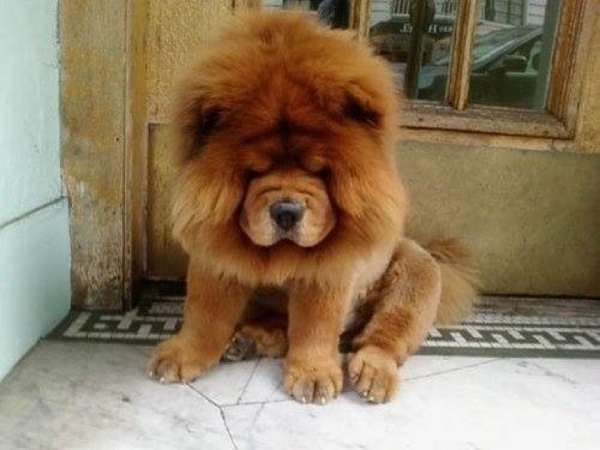 Its coat color is light golden or dark golden. 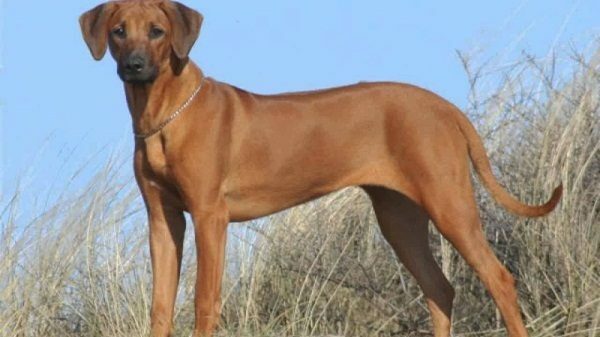 Rhodesian Ridgeback is considered an African lion dog, living in Rhodesia, having short, dense, glossy coat, having round brown eyes, having medium-sized ears. 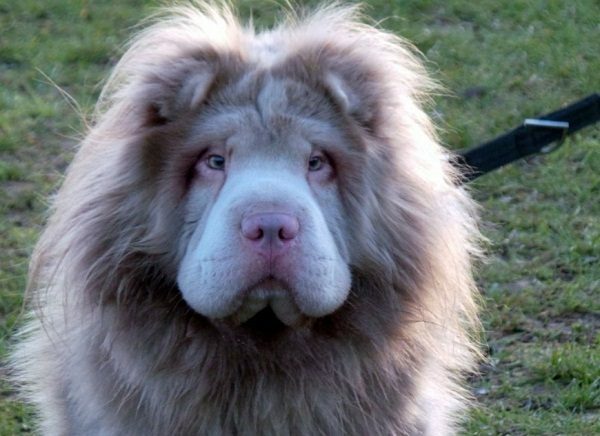 Its coat color varies from the light wheaten to the red wheaten. It is weighing about 36 kg according to the males, while the females are weighing about 32 kg, measuring about 63-69 cm according to the males, while the females are measuring about 61-66 cm, being a muscular breed, having a dark mask, having black or brown nose, having a strong, smooth tail, having a black tongue, being an intelligent breed, being loyal to its owner, being suitable to live in an apartment, needing a lot of exercise, so it needs daily walks, used as a hunting dog and a guard dog. 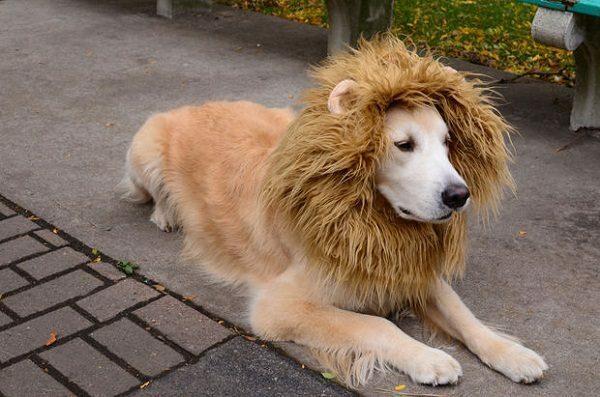 This breed will be aggressive if it isn’t trained well. 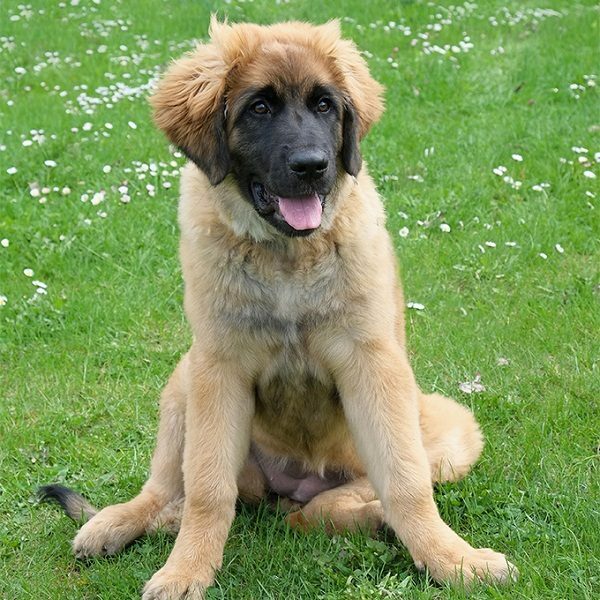 This breed is exposed to many health problems as hip dysplasia and dermoid sinus. Its lifespan is about 11 years. Dogs are exposed to have heartworms, or multiple worms, living in the heart in the artery that sends blood from the heart to the lungs, spreading through the mosquitos’ bites, then the infective heartworm larvae moves through the dog’s body, having some symptoms as an occasional cough, an unusual intolerance to the exercise, fainting spells and anemia. If your dog is infected with heartworm, you must take it as quickly as you can to the vet.If you are a dog owner, you should know the risks of the heartworm disease, knowing how to prevent it. The dogs can be treated from heartworms, but its treatment is very expensive. Your vet may recommend some antibiotics to fight the bacterium that lives inside the heartworms. If the disease is discovered early, we can treat it before causing damage to the heart, lungs and blood vessels, but if you discover this health problem very late, the treatment will be difficult and expensive. It should require hospitalization depending your dog’s case. 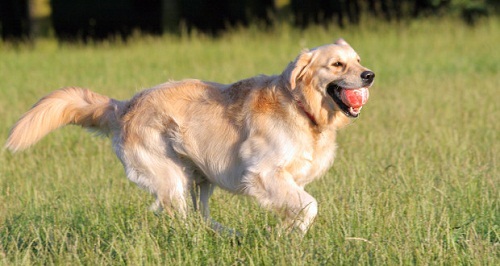 When your dog returns home, it should have a regular exercise for a period of time. After your vet treats your dog from this serious disease, he will suggest a follow-up test to make sure the infection was completely treated. Heartworm disease is considered a very serious disease that may damage the heart, lungs and blood vessels, but it can be easily prevented by using preventive medications.